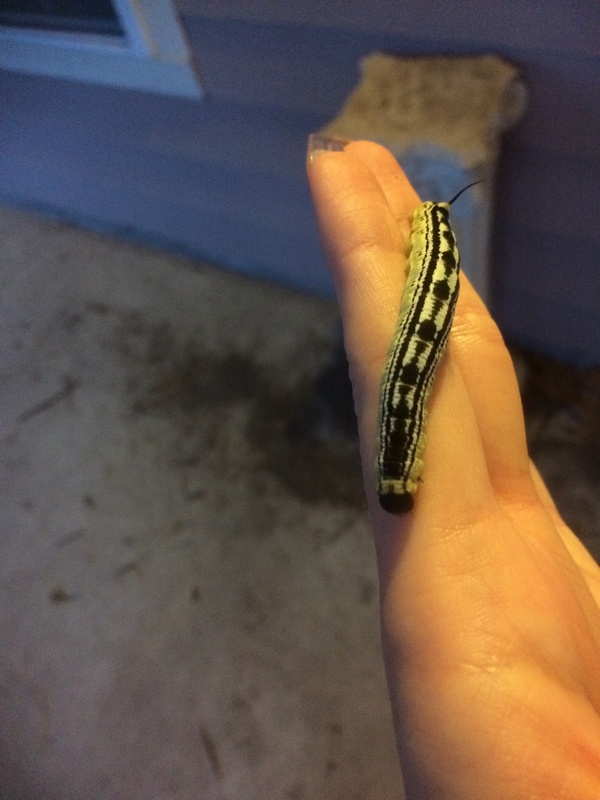 Observation notes: I observed four large (over 2 inches long) caterpillars in our front lawn close to our driveway. A few were big crawlers. I believe one was in the process of molting and another may be close to dying because it was very inactive and had mustard colored secretions on it.